Centro de Criação de Imagem Popular, Brasil. (With gratitude towars Claudia Ceccon, whose critical comments much have contributed to enrich this article). Read here Portuguese version / Leia aqua a versão em português. Abstract: This article is an improved and expanded version of apresentation made at the Journée Educasol “L’Education à la Citoyenneté et à la Solidarité Internationale: Une nécessité sociale” – January 29th 2015, in Paris. It starts by presenting the global citizenship’s features that in our view are more aligned with Brazilian society’s present needs; then it shows some examples of howBrazil builds local and global citizenship through formal and non-formal education processes. It shares some practices in Global Citizenship Education developed by Brazilian NGO CECIP and concludes with reflections on the challenges to be faced in order to disseminate Global Citizenship Education in Brazil. Key words: Global Citizenship; Education for Global Citizenship, Sustainability; Social change, Transformation. 1.- Why Global Citizenship should thrive in Brazil? Global Citizenship (GC) has many definitions. At CECIP we use to say that it is the ability of perceiving global interdependencies, valuing diversity, understanding that all living beings are interconnected and acknowledging that people from all over the world belong to the same race, the human race; to the same family, the human family. Global citizenship, in the perspective of those who want a fair peaceful sustainable world implies to demonstrate, through actions, that one has learned to live together and to cooperate local and globally, aiming to overcome violence, racism and social economic environmental injustice. Of the many aspects of GC, the most aligned with Brazilian society’s present needs are, in my view, its power to foster democracy; to rescue ancient sustainable values and skills that contributes to restore Indigenous and Afro Brazilians pride; to promote the link between critical thinking and empathy that leads to transformative actions. It is no coincidence that Herodotus, the Father of History, probably the first human being who, due to his drive to go beyond the limits of his own culture, could be called a global citizen, has lived in ancient Greece, the place where humanity has experimented democracy for the first time. Free circulation of people and ideas usually produces a deep curiosity about people from different cultures and the interest in learning with them- a characteristic of Global Citizenship. Authoritarian regimes – such as those Brazil has suffered for most of its history – do not like questions, hate curiosity and usually suffocate local, not to mention global citizenship. Now Brazil is learning how to exercise democracy while criticizing its limits. Interactions with other countries also unsatisfied with their democracies enhance mutual learning. This is Global Citizenship in action. In a global event organized by DEEEP (1) in Czech Republic (Summer School 2012) the first keynote speaker, who had just returned from the Rio+20 Conference, said a phrase that was quoted by the participants all over the meeting: “If you want to know how to overcome the sustainability crisis, ask your grandmother”. She was referring to our ancestors: even if traditional communities could be bellicose, and the good savage was a myth, they had a sustainable relationship with their environment. Ancient communities, in all parts of the planet, developed similar myths expressing the awareness that we are all children of the Earth. Indigenous people from the Andes region call the Earth Pachamama. 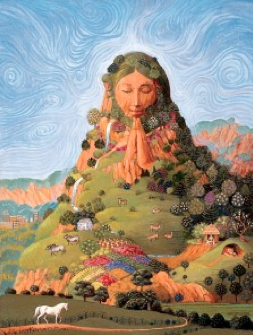 Unlike humans, Pachamama has her own self-sufficient and creative power to sustain life. (See more in http://info.handicraft-bolivia.com/Pachamama-Mother-Earth-a346). In Brazil, we descend from a White Father- the colonizer- who imposed himself over our Indigenous or African Mothers. Long ago, these women knew that problems arise when people take too much from Mother Earth. In their communities, despite of their many shortcomings, power was equally distributed, conflicts solved in a circle with dialogue, cooperation was the rule and the collective interests were the priority. Those essential features of our black and indigenous mother’s culture, once despised by representatives of the patriarchal White Christian Civilization, are now seen as parameters to organize our Civilizations in a sustainable way. It has being adopted by global citizens everywhere. This is Global Citizenship reinforcing indigenous and Afro Brazilian’s pride that was crushed by the European colonizers, while reinforcing the Brazilian quest for a new economic model that stops to destroy our forests and poison our rivers. For a new culture where punitive retributive justice is replaced by the understanding of the causes of violence and its elimination. For an united country with no traces of racism or discrimination against any population. Global citizens around the world are turning to traditional communities to learn “El Buen Vivir”, a life philosophy that implies to live in harmony with Nature and with the Other, eating well, loving well, working with joy, dancing, meditating and dreaming- because everything begins with a dream. Equatorian Educator Rosa Maria Torres offers a variety of sources to explore this concept inhttp://otra-educacion.blogspot.com.br/2014/07/lecturas-sobre-el-buen-vivir.html. Quoting the “Seven Social SinsList” published by Gandhi, in his weekly newspaper Young India on October 22, 1925, “Science without human commitment is unsustainable”. Critical thinking alone does not produce actions that lead to El Buen Vivir, with more harmonic interactions of human beings with each other and their environment. And without empathy and solidarity, a correct analysis of the causes of an unfair reality will not awake the willingness and determination to change it. Recent Brazilian social policies such as the “Bolsa Familia”, that seem to be based in a combination of critical thinking and attitudes of empathy and compassion, reduced poverty drastically and eliminated hunger in the country. However, a shameful concentration of land and wealth continues to exist, and the environment continues to be destroyed (2). When Brazil – and the world- have adopted an economic model coherent with the principles of El Buen Vivir, humanity will have finally put in practice the promises made in the 1945 Universal Declaration of Human Rights – and global citizenship will be an universal reality. Some of the principles of an Education for Global Citizenship are registered in the Brazilian National Parameters for Education (Ministry of Education, 1997):…education in schools must make possible to the students “build tools to understand reality and to participate in large diversified social and cultural interactions that are the basic conditions for exercising citizenship in a democratic inclusive society” ” (Introd., p. 45) (…), taking into consideration “issues related to globalization, scientific and technological transformation and the discussion of society’s ethical values” (idem, pg 47). However, to implement either Citizenship Education or Global Citizenship Education approaches in schools implies the existence of good quality education, still scarce in Brazil. Remarkable characteristics of Brazilian culture, such as creativity, joy, solidarity, excellence in music, dance, art, sports, are absent in most schools. The learning of sustainable attitudes and values is less present in schools than the learning of cognitive skills. However, we can see exciting transformations in progress. Many civil society organizations such as Palas Athena Foundation www.palasathena.org.br/, Paulo FreireInstitute www.paulofreire.org/, Roberto Marinho Foundation www.frm.org.br/and Cecip, among others, are collaborating with Ministries of Education at central and local levels and preparing educators to introduce in the curriculum the best of Brazilian cultures as well as the global planetary dimension expressed in the Universal Declaration of Human Rights (United Nations, 1945). Connections, not only with the resources of their local community but also with those of the world, are stimulated. In Oi Kabum, Escola de Arte e Tecnologia ( Oi-Kabum – Art and Technology School) CECIP works with public school’s youths who realize their own social intervention projects using ICT and return to their schools to share what they’ve learned. Internet in schools, of course, has been facilitating the process. A search in the Internet allows students to find information on any given theme, coming from different sources, analyzed in different perspectives. It allows collaboration between people. And it is at reach of almost any Brazilian urban student, representing a powerful example of how collective intelligence works. Internet has made possible for any person to learn whatever he or she is interested, anywhere, whenever he/she wants. The conflict between this new flexible horizontal autonomous way of learning and the ways traditional schools impart knowledge, is helping to change obsolete paradigms. Also, Internet allows the creation of teachers and students networks at local, national and international levels, uniting schools driven by principles of horizontal interactions between learners who are also educators and educators who are also learners, such as the Rede Mundial de Escolas Democráticas (Global Network of Democratic Schoolshttp://www.democraticeducation.org/). Innovations are disseminated on the online versions of educational magazines such as Patio (http://www.grupoa.com.br/revista-patio/Default.aspx), Nova Escola (http://revistaescola.abril.com.br/) or in online magazines such as Porvir (http://porvir.org/). At CECIP, professionals involved in educational change processes strongly adhere to the African concept of UBUNTU, which is implicit in the concept of “Educative City”: “we are what we are because of what all others are”. Education happens not only inside schools but also outside them. All spaces and adults (in a family, school, city, country, world) are preparing the new generations either for sustainability and happiness or for its contraries. The forces of prejudice and intolerance continue to act relentlessly, it is true. But, gradually the awareness that Brazil belongs to all the Brazilians and racism, the cruel heritage of colonial times, must disappear increases. Also the awareness that we are part of a global civil society without borders starts to expand from the limited circle of intellectuals, artists, scientists and social activists where it was already present, to include larger and larger layers of our society. 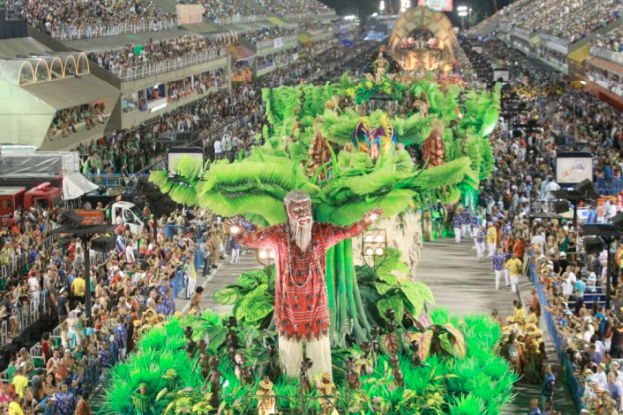 An indicator of this are the Samba Schools that during Carnival may transform global themes in songs, allegories and dances that stimulate millions of people to know more about Brazil and the world’s history, realizations and challenges. This Samba School was considered the best in the 2015 Rio’s contest. It that had as a theme Equatorial Guinea. The polemic about this Samba School being financed by the dictator who governs this extremely poor country has been a source of political education in global citizenship. Free cultural events, such as Art’s Biennials exhibitions of famous artists of all continents, Cinema, Theater, Music and Dance International Festivals are great channels for non-formal dissemination of Global Citizenship values, mainly in respect and appreciation of cultural diversity. Sports events such as the Soccer World Cup or the Olympic Games increase face to face contact between Brazilians and foreigners, and amplify the debate around corruption and disregard for human rights in the implementation of these events – a debate in which the global dimension cannot be eluded. Solidarity economy, restorative justice, culture of peace and non-discrimination, defense of indigenous populations, democratization of the media, free Internet, ecology, are other educative planetary movements also present in Brazil. International solidarity between Brazilian social movements and their counterparts abroad increases their power to press the Government for good quality public policies in all fields. 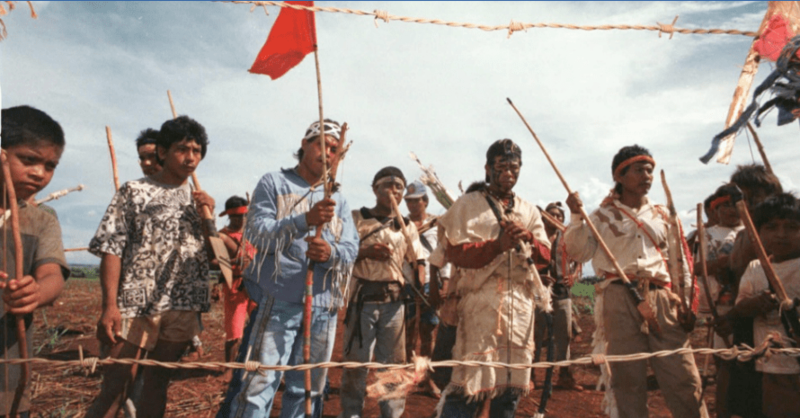 International solidarity with Indigenous associations and with Brazilian social movements and organizations that support them, makes life more difficult for those who covet their land or grab it using violence. Some lessons can also be learned through the media that exposes the viewers to a great diversity of cultures. The awareness that people from all nations share the same humanity increases, as the general population is shocked and moved by images of mothers, in Brazil and around the world, who are losing their children to a violence that only makes sense to the weapons’ industry. Moreover, international friendship can be an excellent teacher. Tourists or immigrants are unveiling unsuspected perspectives as Brazilians discover they can communicate with them even without knowing their languages. “Be the change you want to see in the world”. CECIP, a not for profit civil society organization, follows this principle formulated by Mahatma Ghandi. It supports educators, young people and community members who are willing to improve the quality of their lives and the quality of their local realities. CECIP was created in 1986, (when Brazilian democracy was resurrecting after twenty years of a fierce right wing military dictatorship), with the mission to help the new born democracy to grow, through popular communication and education. CECIP invests in democratic educational processes, both formal and non-formal, at service of the interests of large segments of the population whose rights are not respected. One most important target is good quality education, in which educators and community members are also learners, children, adolescents, youths have their voices heard, and all of them can act as change agents, as active citizens. In this way, CECIP develops educational tools and processes aiming non-discrimination, sustainability and a culture of peace. Working in partnership with governments, community associations, Brazilian and international organizations, CECIP uses approaches based in Paulo Freire’s Pedagogy of Autonomy. (Freire was a member of the group of intellectuals and artists who founded CECIP). Its projects invite participants to think critically about their own reality- what Freire calls “reading the world”- envision ways to change it – and act. Art, Internet and Communication Technologies are resources used in the process. Citizens of Nova Brasilia, a Rio de Janeiro’s slum, have access to ITC and cultural activities in CECIP’s managed Nave do Conhecimento (Knowledge Spacecraft). Ideias, Sonhos e Histórias – cultura digital em Nova Brasília (Ideas, Dreams and Stories- digital culture in Nova Brasilia) describing how CECIP manages pedagogically a space for living together and learning built by Rio de Janeiro municipality in the middle of a troubled poor community.www.pracadoconhecimento.org.br/novo/pracas-e-naves/nova–brasilia. Colégio Bandeirantes (http://colband.net.br/), one of the 6 Brazilian schools that participated of the Project, already focused the formation of global citizens before the project and reinforced the global dimension of the curriculum afterwards. Links were created not only between Brazilian educators but also between them and their foreign counterparts. For many Brazilian teachers, participating in the Project was a unique opportunity to be presented to Benin, the country from which most of our African ancestors and significant dimensions of our culture came. This video made by Brazilian educator Débora Maria Macedo (https://www.youtube.com/watch?v=tcbGEgXSopk) resulted from the visit to Benin and shows students from this country and Brazilian students singing songs that were sent to their counterparts in Benin. Nowadays CECIP Brazil and Nego Com from Benin, with the support of Leeds DEC from England, are looking for resources to finance a joint Global Citizen Education project. In May 2015, Chiefs of State and Ministries of Education of the UN countries, as well representatives of global civil society organizations, universities, entrepreneurs and media will meet in the city of Incheon, South Korea, to discuss and firm a commitment with the realization of the 4th Sustainable Development Goal of the post 2015 Agenda: Ensure inclusive and equitable quality education and promote life-long learning opportunities for all. After the Conference, it will be the responsibility of both Government and Civil Society to make this objective (and all its targets, including target 7), meaningful and attractive both to the country’s formal educational systems and to entities in charge of non-formal education initiatives. In Brazil, questions will emerge, such as: What is global citizenship and sustainable development? 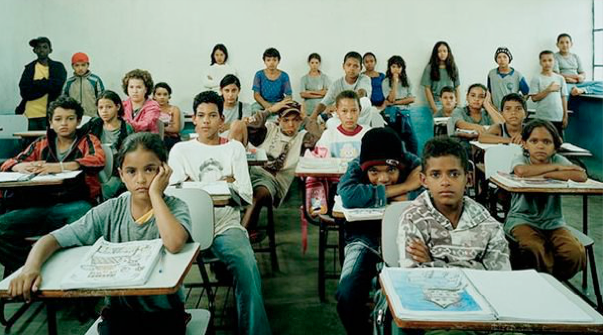 Why Brazilian education should promote global citizenship? Is it not absurd to speak about global citizenship in contexts where people do not perceive themselves as belonging to groups such as school and community, cannot locate their communities in the city, and are not aware they have rights and duties as national citizens? What kind of resources teachers and schools need to be able to ensure all learners acquire knowledge and skills associated to global citizenship? Probably the word “global” will arise fierce polemics, since in Brazil it is associated with the predatory globalization in which it is inscribed the colonization imposed by the Europeans upon other peoples in the planet, that was initiated in the 15 th/ 16th centuries and only ended in the 20th century, when the last African colonies conquered their independence. Moreover, “Global” and “Globalization” bring to mind the suffocation of local cultures by a dominant one, with the subtle imposition of an only way to think and to see the world. Until recently, the expression global citizen or citizen of the world would elicit only this image in Brazil: a person, usually from the white élite, who travels a lot, knows many languages, and can quote authors from different times and countries… It will be necessary to explore the new meanings of these old worlds, or as poet Caetano Veloso says, to find Outras Palavras (“other words”). Instituto Paulo Freire, for instance, has been working with the concepts of Planetary Education, Eco Pedagogy and Planetary citizenship, instead of Global Education and Global Citizenship. CECIP, when coordinating in Brazil the Global Curriculum Project, added the words “for sustainability” to “Global Curriculum”. Even so, the word “Global” has generated noises in the communication with teachers and created initial mental blockages. The concept of sustainable development is being criticized, in Brazil and in other Latin American countries, since the word development is impregnated with the idea of a dichotomy between developed and underdeveloped countries, ignoring the existence of islands of poverty in the wealthy nations and islands of wealth in poor ones, and also implying that the so called developed countries, with heir unsustainable patterns of consumerism, were a model to be followed. At this point, when I talk to my colleagues working in schools and/or universities, many of them are skeptical about the relevance of education for global citizenship in Brazil when the endeavor of educating all Brazilians to act as citizens in their schools, communities, cities is not completed. Many argue that first you become a local citizen, and only then you could be educated to be a global planetary one. However, transformation do not always occur in a logical, sequential fashion: “Transform yourself, then the school, community and only then you will be able to contribute in the transformation of the city, country, and last, the world”. All these systems are connected and influence each other. The individual is not an island but a being of relationships. Therefore, you transform yourself while changing your interactions with other individuals and systems. In this way to insert a global dimension in education for citizenship (or for peace, sustainability, diversity and so forth) can actually reinforce the learning change process. This was experimented by the Brazilian teachers and students who participated in the Global Curriculum for Sustainability project. For instance, a group of students started by investigating a problem of violence and prejudice in their school. This involved self-reflection, interviews with several members of the school community, and also to compare the atmosphere of their school with the atmosphere of different schools, in Brazil and other countries. They’ve discovered similarities and differences between youth behaviors in different cultures – regionally and internationally, and became aware that the violence/ prejudice in school reproduced violence/prejudice in the city and in the world – and reinforced it. They discovered the leaders that in Brazil and the world fought against discrimination and tried to face violence in non-violent ways. While they were learning this, they were mastering curricular contents in Language, History and Geography. At the end, the students made murals and artistic interventions that were presented to the whole community. In CECIP’s perspective, Brazil needs to foster Global Citizenship Education – with whatever denomination it takes -, since its methodologies and strategies for active learning, racism/sexism deconstruction, democracy reinforcement and glocal citizens formation make us more and more able to value and to use our great assets of joy, art, movement, ancestral sustainable values, attitudes and skills to increase our capacity to develop creative alternatives to unsustainable public policies. 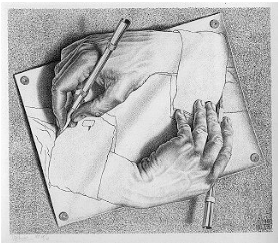 The more Brazil becomes involved in processes of Global Education Citizenship, the more it will be able to contribute to local and global transformations, due to the talent of its people for finding creative solutions, think out of the box. This will enrich Global citizenship methodologies and diversity of approaches. As Unesco celebrates its 70th anniversary, it is important to use Edgar Morin‘s principle of organizational recoursivenness (“Each product /cause, produces or causes its producer/cause”) to create a virtuous circle opposed to the vicious circle of violence we now experiment. In the present vicious circle, oppressive discriminatory policies produce violence, which justifies the creation of policies still more oppressive. A virtuous circle could be: Global Citizenship Education approaches reinforces, all over the world, practices that increase justice, sustainability, and peace. Those practices help Global Education Citizenship to evolve and diversify, which will produces practices and public policies more sustainable and fair. DEEEP- Citizens Empowerment for Global Justice- is a project of the DARE Forum of CONCORD, the European Develometnt NGO confederation. The 10% poorest live with only 0,7% of the national income. (PNAD IBGE Instituto Brasileiro de Geografia e Estatística (IBGE, 2013)). Brazil has around 5millions km² native vegetation and loses thousands of kilometers of vegetation per year because of the cutting of trees and fires. Only in the Amazon 18% of the original forest has been destroyed. (Instituto Nacional de Pesquisas Espaciais, 2014). An indicator of this: research of the Instituto Nacional de Estudos e Pesquisas em Educação (INEP 2006) revealed that 1.5 million children (15-17 y.o.) did not attend school in the previous year. And the main reason was “lack of willingness to study” (40,4%). More than 60% of the youth interviewed in the research Profile of Brazilian Youth considered that the school is not aware of the current realities issues; 72% consider that the school is not interested in the problems of the students. 76% think that the school does not understand the students (Abramo & Branco, 2005).